Have you ever felt that your diet program often fails? If so, there may be some factors that you are unaware of causing it. At this moment, I will share 3 secret tips that can enlarge the success of your diet program. 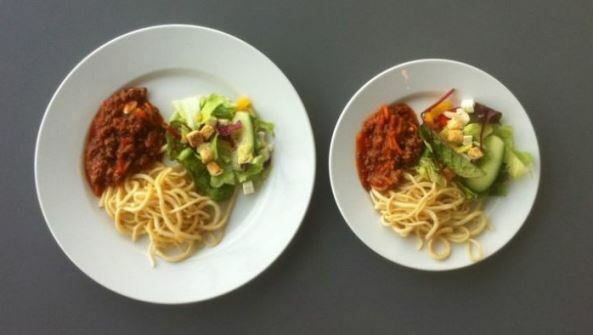 According to research from the University of Cambridge, people who eat foods with a small plate, their consumption of food can decrease by 16 percent, or equivalent to 280 calories. Gareth Hollands of the Behavioral and Health Research Unit of the University of Cambridge, who also led the study, said, although their research was meant to convey something obvious, they challenged assumptions that the lack of self-control was the reason for overeating. “Helping people eat and drink in large portions by reducing the size (plates),” said Hollands. Research conducted University of Liverpool, UK, quoted the Daily Mail website, Monday (18/3/2013) support the statement. Eating habits while doing other things can increase the amount of food consumed. According to the study, people who do not focus on food tend to eat 10 percent more than usual. This amount will increase 25 percent again at the next meal. Many health practitioners always recommend increasing the consumption of water, which is at least 8 glasses per day. 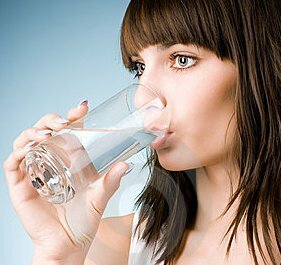 Increasing the consumption of water can reduce the risk of dehydration, but it is also effective to lose weight because the stomach will be full so you will feel full even if not eating. Let’s stop crash diets that make you are hungry and torturing your body. Dr. Brenda Davy says that the key to successful dieting actually only in the water. Hey, it’s often forgotten. If you drink two glasses of water before meals, it does reduce your calories by 75-90 calories. Dr. Davy explained that by drinking water before meals will help fill your stomach before a meal without the caloric intake. It may sound easy, but in reality, no one knows this. You may be tempted to order soft drinks, or fruit juice, however, advised to drink water before meals to help your diet. For best practice is drink 2 glasses of water before eating. Of course, in addition to practicing the above suggestions, exercise regularly is still the best choice for your diet program. Please try it now. If successful, do not hesitate to share it with your friends or your family. Good luck, sis!